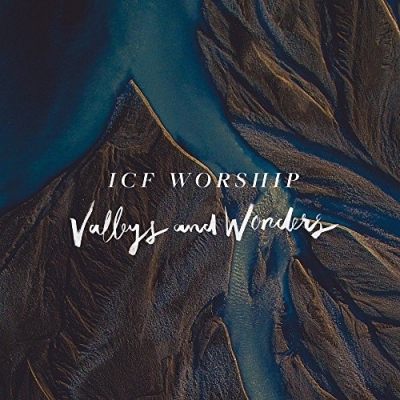 Integrity Music have released the new album from ICF Worship, Valleys and Wonders. Now in their twentieth year, Valleys and Wonders reflects their journey and adventure. "We are all about getting people excited to live a life with Jesus Christ," says Senior Pastor Leo Bigger. "In a contemporary way we shout out the greatest news ever told; that God loves us and desires to have a personal, real relationship with us!" Read More Integrity Music have released the new album from ICF Worship, Valleys and Wonders. The church is based in Zurich, Switzerland and was founded in 1996 in the largest city in Switzerland. Having started with a passion to reach out across the country to people in a contemporary and modern way, today ICF Zurich is a non-denominational church with over 2,800 weekend attendees spread across five different locations within the city and its surroundings. It is also one of the biggest church movements in the German speaking area, with 36 churches in Switzerland and throughout Europe. Opening track Brighter is an energetic little number. Put this album on with caution! This album has energy that is infectious. Tracks like Live Victorious, The Journey and Radiance have that modern dance feel to them. They are not only exciting to listen to but will get you tapping your feet, no matter what your age. If you said to me in a quick fire interview, what album/artist does this sound like, then I would have to say Planetshakers. Much like Planetshakers, this album is modern, high energy, powerful, passionate and in a way, upfront and in your face, but in a good way. I'm not the biggest fan of different lead vocalists on an album. It can sometimes break up the flow of the album a little. Yet on this album this doesn't feel like it happens. I found myself really enojoyjng this album even when I knew very little about the artists. This is a welcome album to my collection of music. Well worth a look into this one!